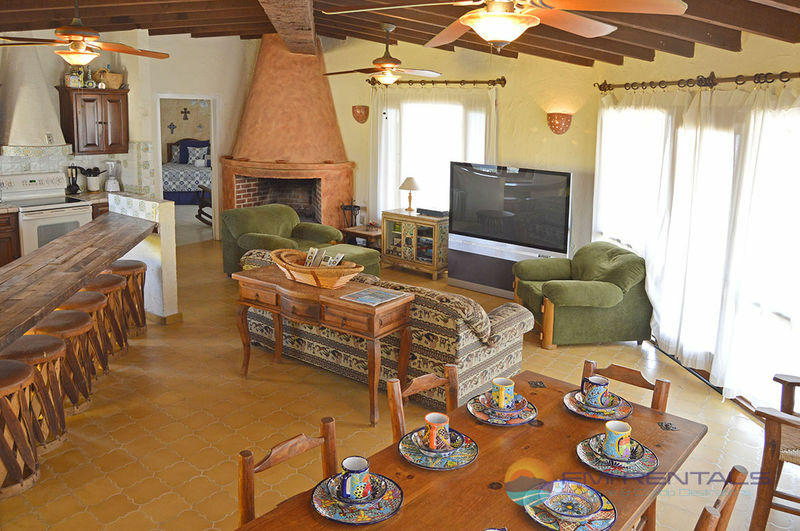 Agaves del Mar is situated in a very quiet section of the community of Las Conchas. 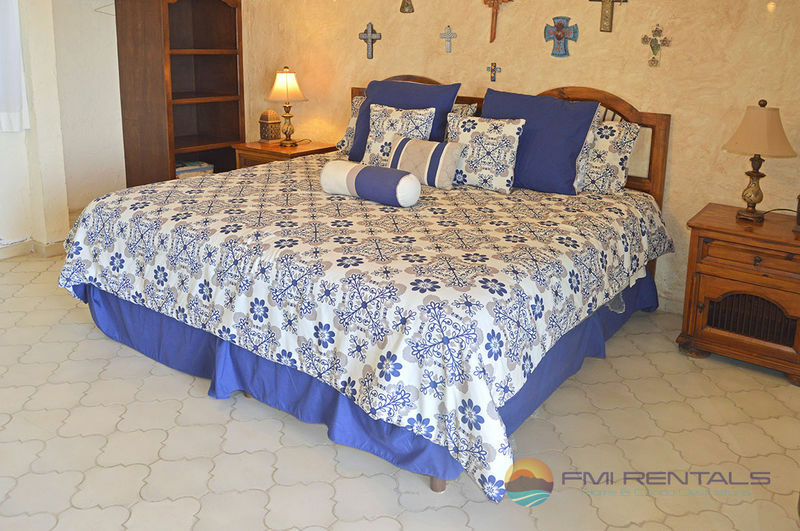 This premium Rocky Point vacation rental features four bedrooms and three bathrooms, and can accommodate up to 12 guests. 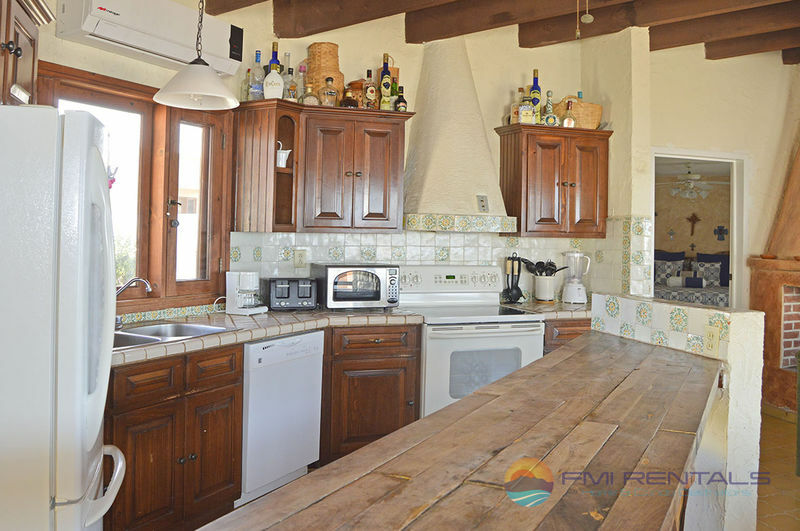 This beachfront home was recently remodeled and offers all the comforts of modern conveniences within spectacular surroundings. The master bedroom offers a king size bed and a cozy fireplace. 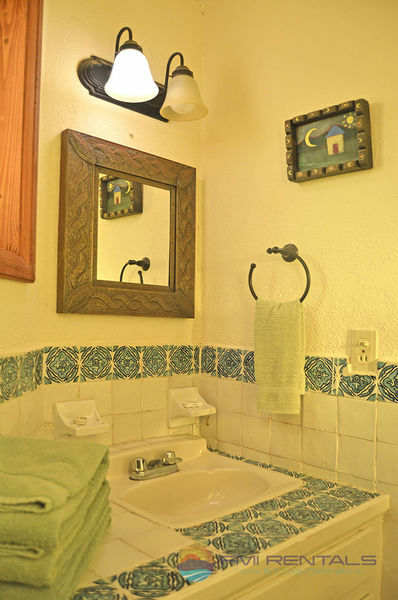 You will also find a full private bath for your convenience. 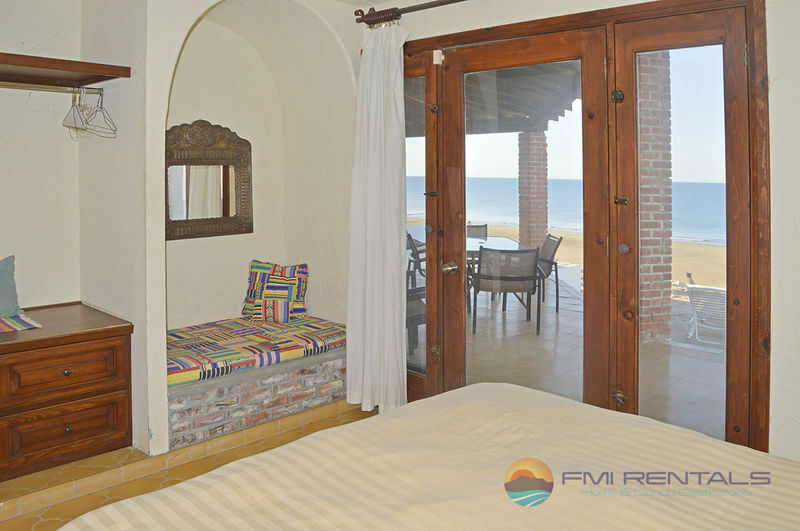 From this bedroom, you can enjoy the gorgeous views of the Sea of Cortez. 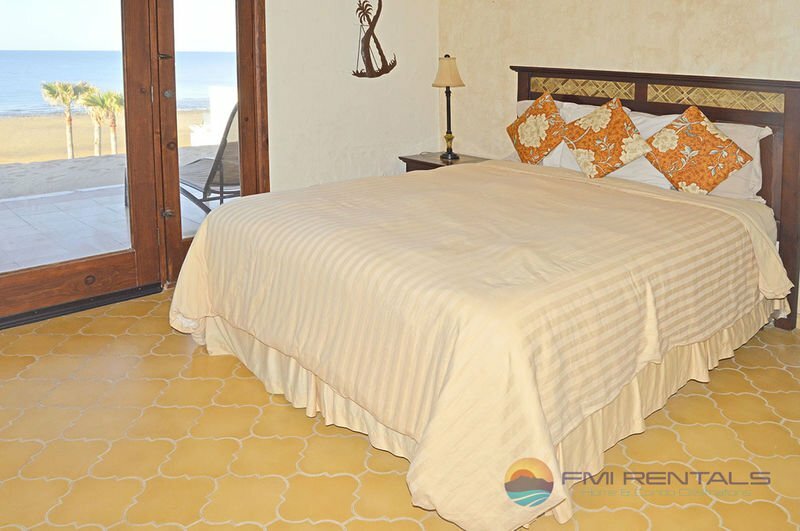 The second bedroom has a queen size bed, while the third bedroom has two twin beds. 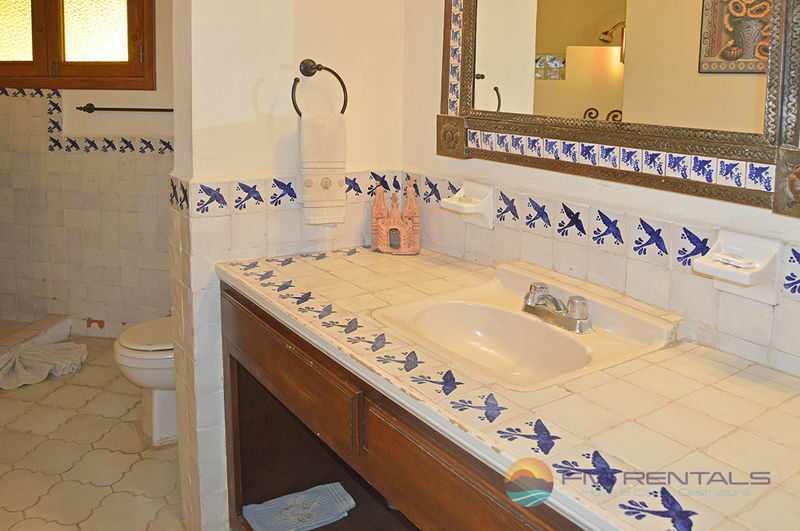 These rooms also face the water for stunning views and also have full baths. 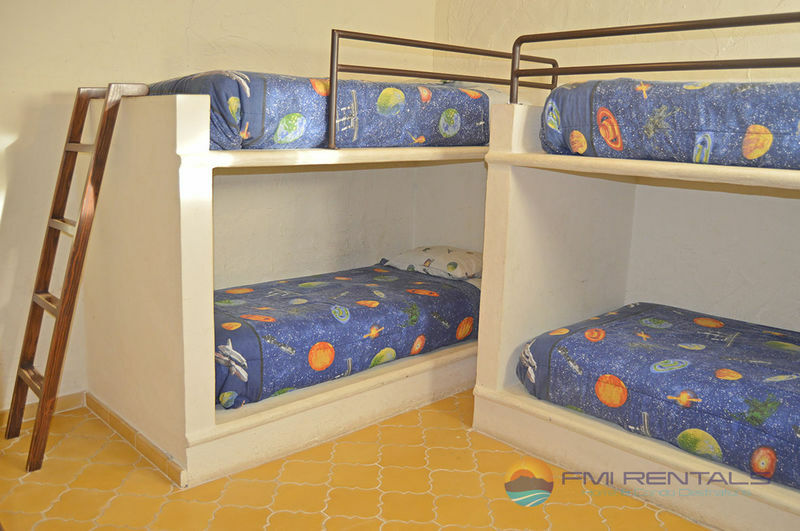 The fourth bedroom is perfect for the kids as it offers two sets of bunk beds and a TV/DVD setup up for video games. The open, airy and spacious kitchen offers everything you’ll need to create delicious meals including all appliances and cookware. 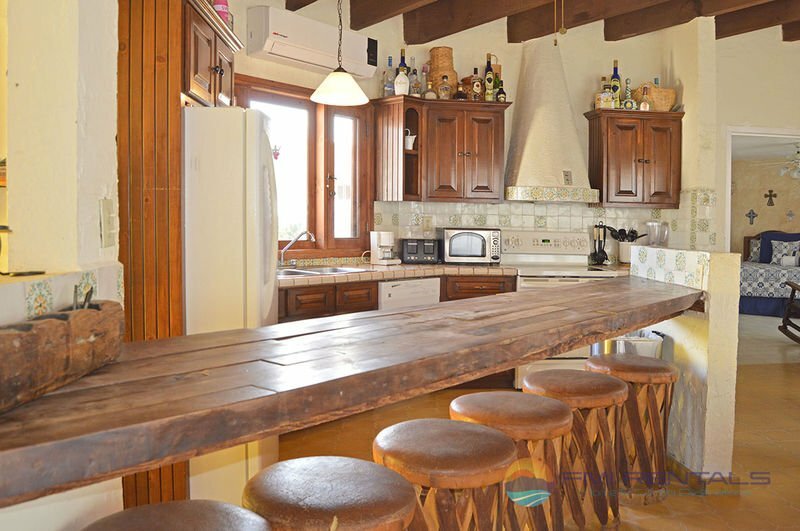 There is also in-kitchen bar seating where you can enjoy a quick meal or snack. 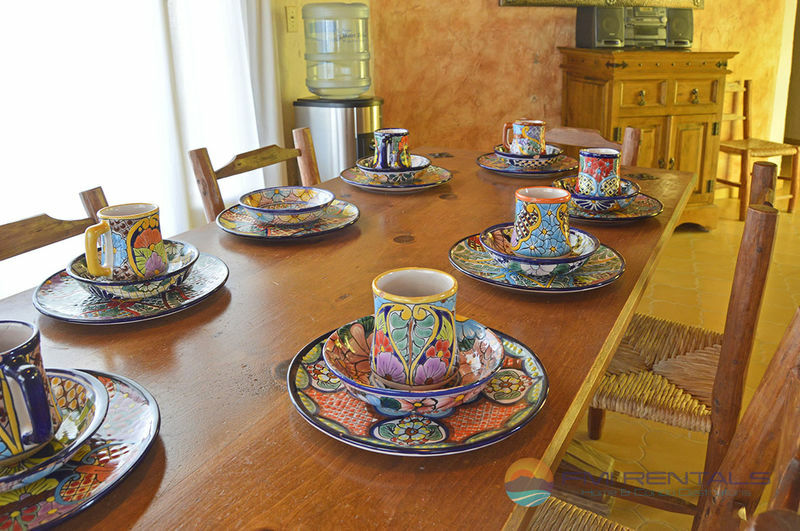 The lovely dining area offers seating for eight on a rustic dining table. This is a great place to gather for meals and good conversation. 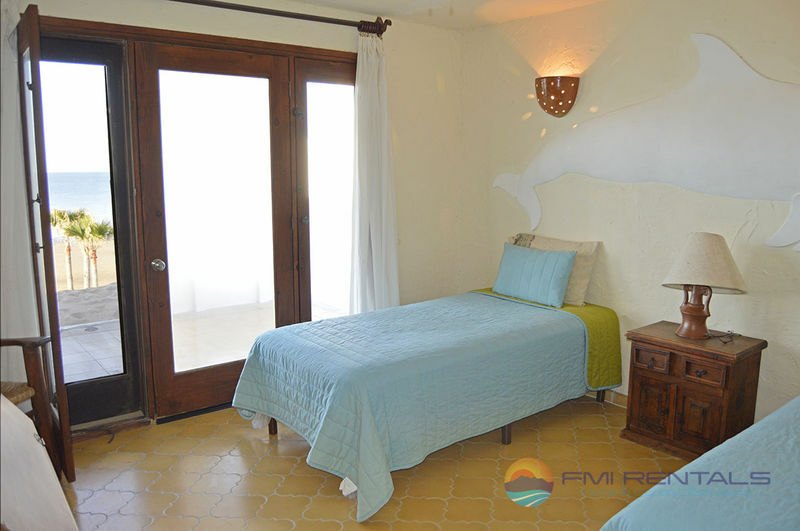 You can enjoy wonderful beach and ocean views from the living room that is comfortably furnished. 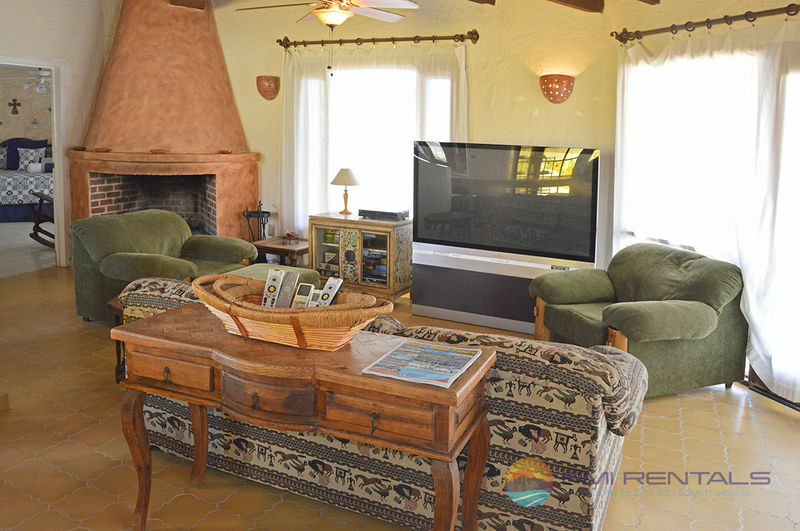 This great room/living room offers satellite TV/DVD and stereo, where you can just sit back and relax. The home also offers wireless Internet access so you can stay connected. Outside on the spacious patios, you’ll enjoy relaxing on the great outdoor furnishings. There’s even a wonderful gas barbeque to let you whip up your favorite grilled favorites. 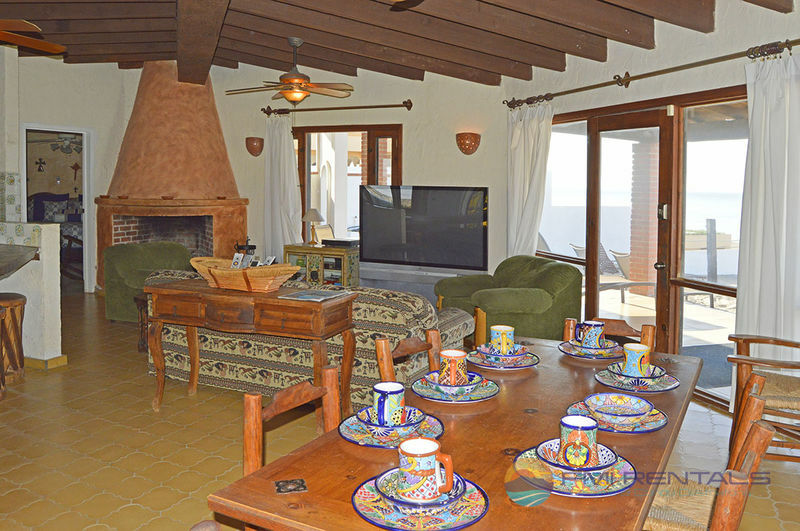 There is also a casita available that can sleep an additional six guests. 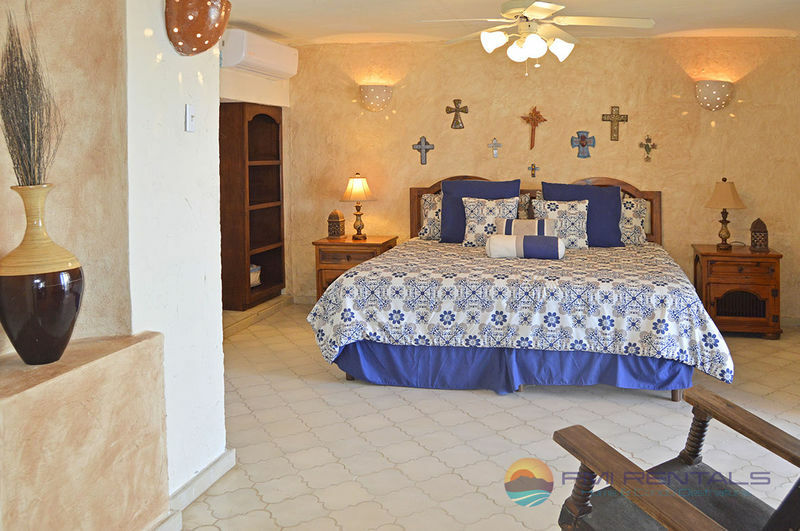 Just contact one of our reservation agents knowledgeable about Rocky Point vacation rentals for more information. 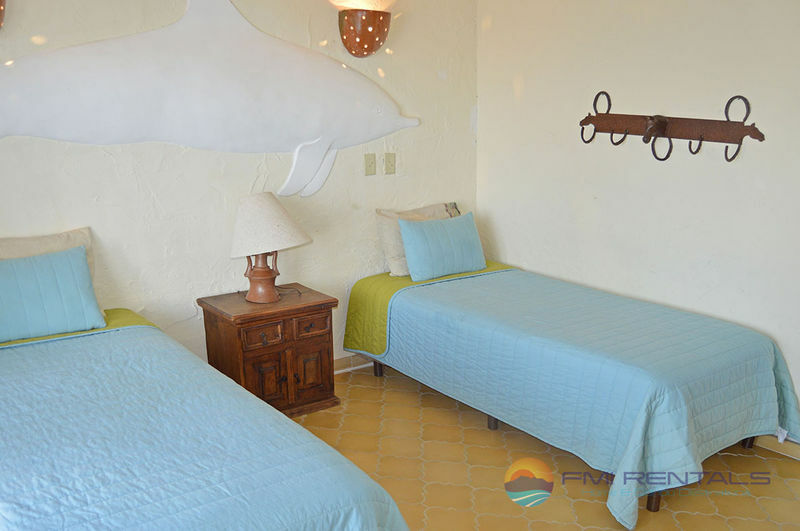 By renting Agaves del Mar or another of our vacation rentals in Rocky Point, you will be able to enjoy much more space that you would with a traditional hotel stay, and usually at a more affordable price. 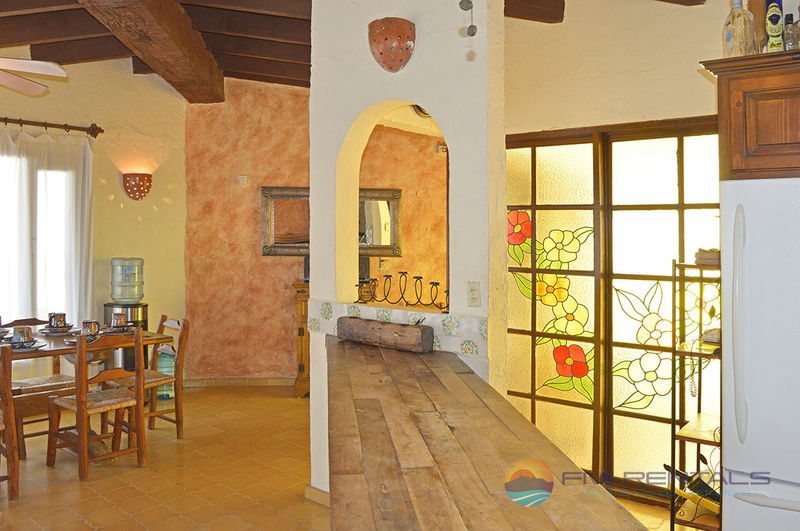 You can then enjoy more of the great attractions and activities of the exciting Rocky Point area. Do some fishing, enjoy a stroll on one of the many stunning beach area, or try out some snorkeling or scuba diving. If you want to pamper yourself, check out one of the many relaxing spa experiences. Of course, don’t miss trying some local flavors at the area’s many tasty restaurants and eateries.